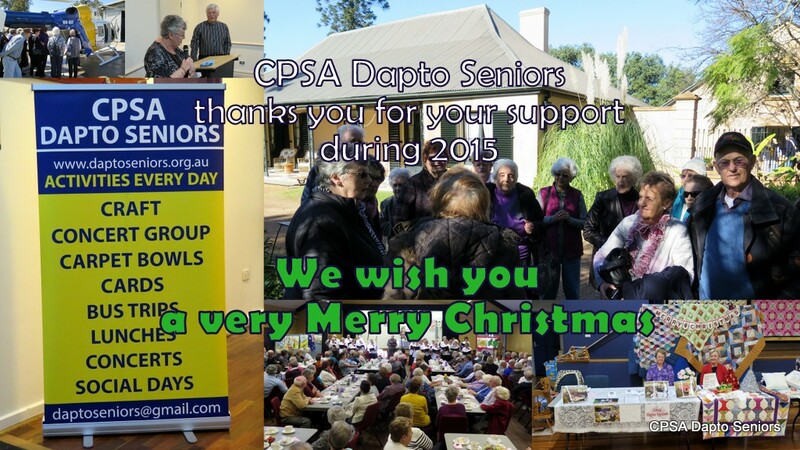 Bus trips, lunches, picnics, social days out and all the wonderful things that make Dapto Seniors the fun club it is. 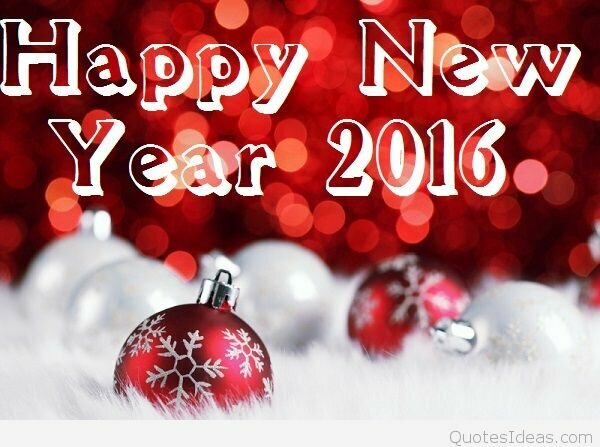 We look forward to seeing you all next year on the 14th January 2016 when we can start to do it all again. 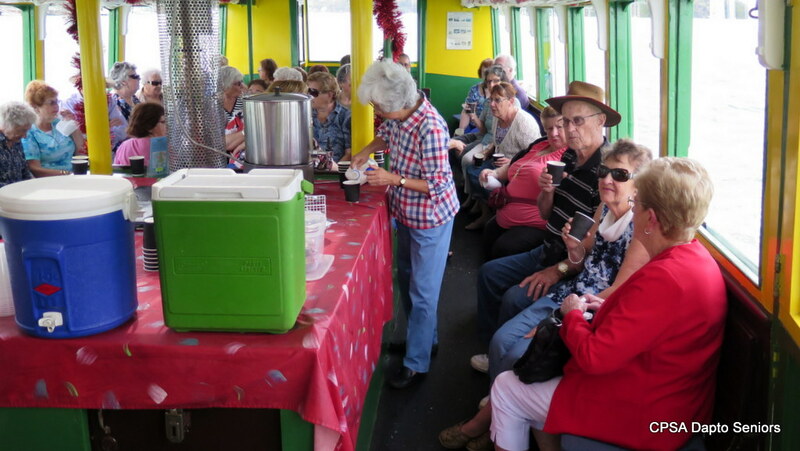 Our last trip for 2015 was a cruise on Port Hacking. After a worrying start when the council supplied us with the wrong bus it all turned out very well and members had a lovely day exploring the river aboard a fantastic old ferry Tom Thumb III, it was a day spent in glorious sunshine. Afterwards the group retired to Cronulla RSL for lunch, a chat and the chance to admire the views of Cronulla Beach and the Pacific Ocean. The bus trips are held every month and visit a wide variety of places of interest. 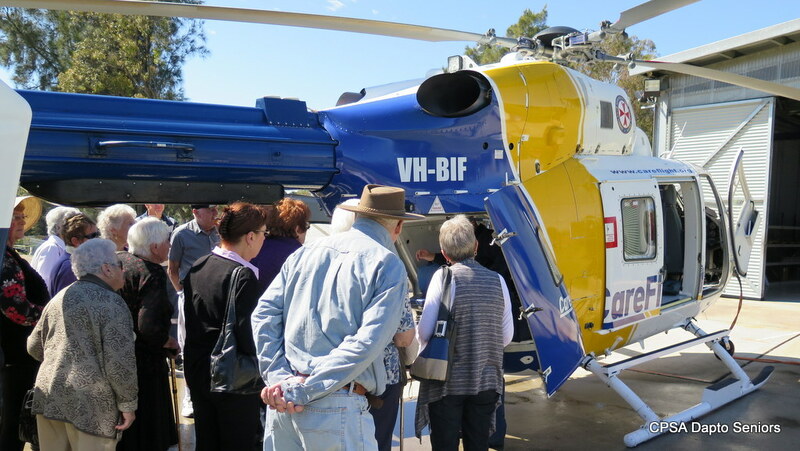 This year members went on visits to Wivenhoe House, the Careflight Helicopter base, the fascinating Egyptian Room, the Norman Lindsay Gallery and many more terrific places. The cost is usually $12 plus the cost of entry if any (and usually we get a group discount) so these trips are within anyone’s means, where ever possible we get a guided tour of the establishment we visit. As well as being interesting the trip is a social occasion with stops for morning tea and a lunch so there is plenty of time to sit and chat with your fellow members. Our thanks to all the volunteer drivers who make the day so enjoyable. The Concert Group performed three concerts during the year. 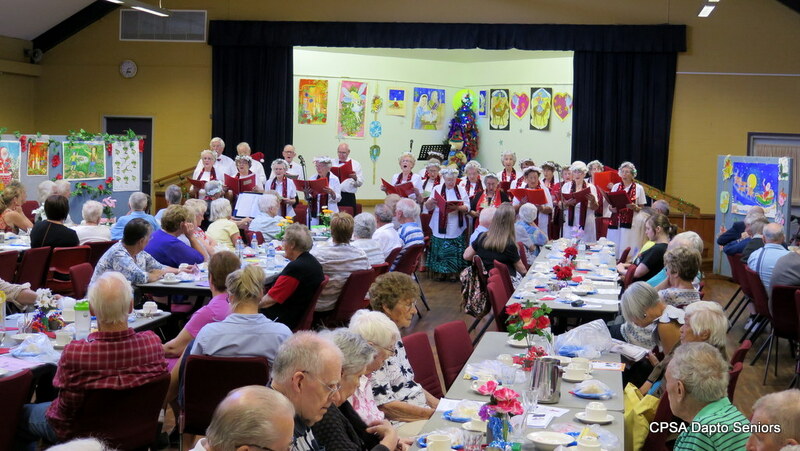 All of them were well received; the Christmas concert provided an exciting seasonal finale to the year. There was some wonderful singing by the choir interspersed with comedy and solo acts of an amazingly high standard. The audience cheered and cheered and when it was their turn to join in with the singalong they did so with great enthusiasm. The light snack afterwards and the many door prizes made the event one to remember and ensured everyone present looked forward to the next. The group is always on the look out for new talent so you are most welcome to join, fun is always high on the agenda - don’t be shy, come along and take part; rehearsals are every Monday afternoon (once the club’s year starts). 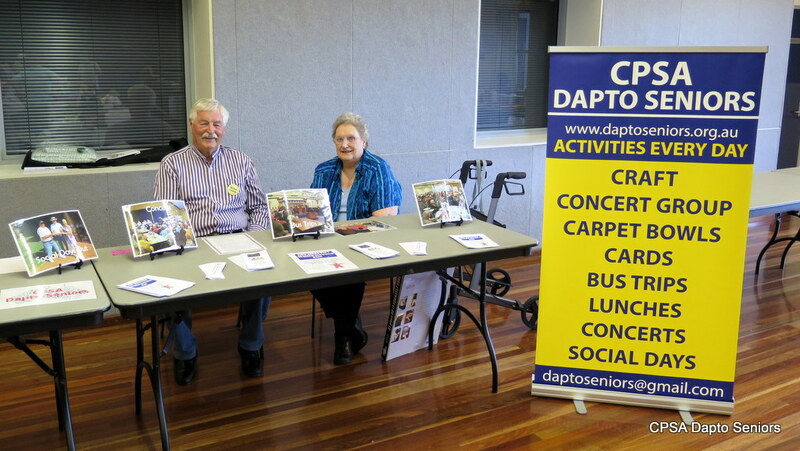 Apart from these activities Dapto Seniors has something going on every day of the week, Whether it is carpet bowls, cards, exercises, computer tuition, theatre visits or craft there is something that will suit you (click on the CLUB ACTIVITIES tab at the top of the page to find out more). 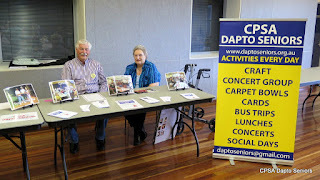 We also take part in various publicity events arranged by local community groups and/or Wollongong Council. Wow! another year is almost here; where does the time go?